Yamaha YDP 163B Digital Piano Review - Is this keyboard any good? If you or your child is a beginner pianist, you may not want to invest in an acoustic piano. That is where the Yamaha YDP 163B Digital Piano comes in. This product is just as good as the “real” thing. In fact, it may even be better. Not only do you get a realistic feeling digital piano when you purchase the YDP 163B, but you also receive headphone compatibility, iOS compatibility, and a digital songbook. None of these features can be found on acoustic pianos. 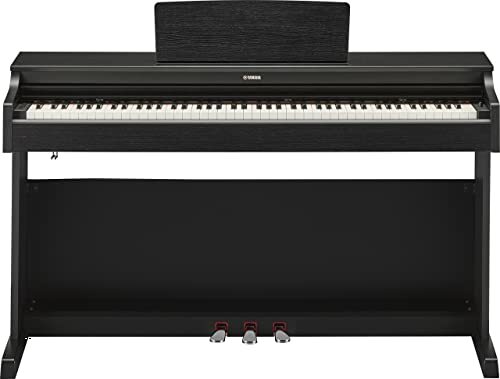 Want to know what sets the Yamaha YDP 163B Digital Piano apart? Keep reading. One of the best ways to differentiate digital pianos—especially the Best Digital Piano for Beginners 2019—is by comparing their specifics. We’ll go into more detail about some of these below, but here’s the top specifics of the Yamaha YDP 163B Digital Piano. Specifics are important, but the features of Yamaha’s YDP 163B Digital Piano are even more essential. Below we’ve listed the features you will need to keep in mind as you research this digital piano. For more features of the best digital pianos, see our articles here and here. Everything about the Yamaha YDP 163B allows for great playability. As mentioned above, the keyboard is made up of eighty-eight GH3 (3-seonsor graded hammer) keys with synthetic ivory key tops. The weight hammer action of the keys also creates a heavier touch in the low end of the keyboard and a light touch in the high end of the keyboard. Yamaha claims that the YDP 163B weighted keys are essential for the beginner pianist because “practicing with weighted action builds proper finger technique for playing on an acoustic piano.” Who knew playing on a digital piano could actually improve your piano technique? 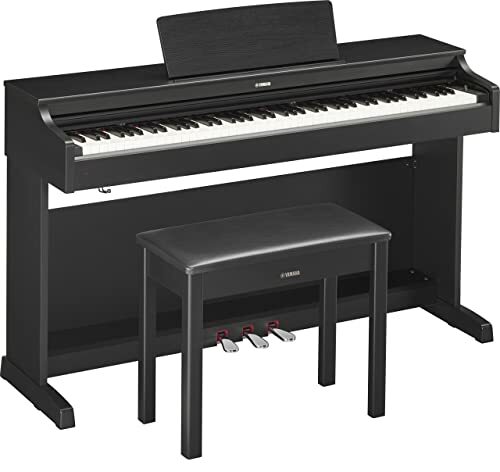 The weighted keys of the Yamaha YDP 163B are not its only feature that enhances playability. There are also the synthetic ivory key tops that make playing the Yamaha YDP 163B feel like playing an acoustic piano. And the three pedals included with this product work feel and depress the way you would expect. This means that anyone can easily transfer their pedal technique from the Yamaha YDP 163B to any acoustic piano. The Yamaha YDP 163B feels like an acoustic piano. But that’s not all; it also sounds like one. Yamaha has included the Pure CF Sound Engine in the YDP 163B. This sound engine reproduces the tones of the Yamaha nine-foot CFIIIS concert grand (acoustic) piano. The Yamaha CFIIIS is recognized as one of the best concert grand pianos on the market. It was even played by the winner of the 2010 Chopin Competition. So, having that piano’s sound capabilities on the YDP 163B, is a major bonus. It allows for a great sound and playing with a lot of expressive and dynamic options. The Yamaha YDP 163B allows you to record and playback your performances on the instrument. This is another reason why the YDP 163B is a great instrument for beginners. With the touch of a button, you can record up to two tracks—for the left and the right hand. In music the best way to learn is to hear yourself play. In that respect the Yamaha YDP 163B has you covered. You can also listen to your recordings through the speakers or headphones. The Yamaha YDP 163B provides a new headphone experience to the digital piano user. Yamaha includes the Stereophonic Optimizer in their digital pianos, which is feature unique to them. This feature adjusts the sound quality of your recording depending on the distance from the pianos. The Stereophonic Optimizer on the Yamaha YDP 163B makes for a realistic and resonant listening experience. 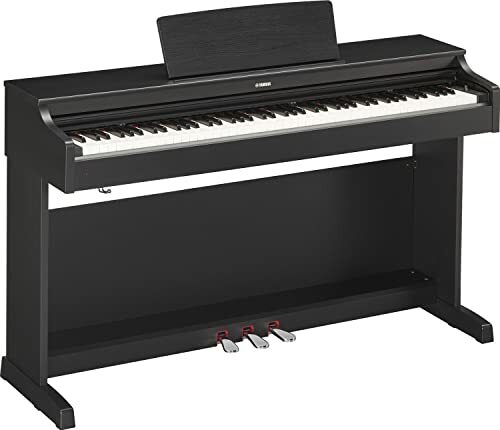 The Yamaha YDP 163B Digital Piano comes with a number of important pros, but it has some cons as well. Continue reading to find out more about the most important pros and cons for this product. With the Yamaha YDP 163B, you receive a digital songbook in addition to your purchase of the instrument. This songbook is preloaded into the digital piano. You can listen to these pieces or use the accompanying “50 Greats for the Piano” to play along. Like many of Yamaha’s digital and portable pianos, the YDP 163B is iOS compatible. All you need is a standard USB chord, and you can connect to your computer or mobile device. Once you have plugged in your YDP 163B, you can access the Digital Piano Controller app that gives your instrument even more functionality. 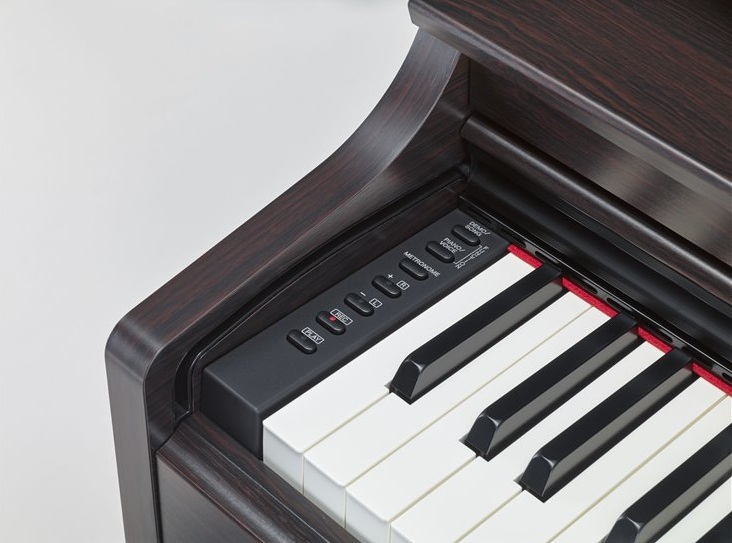 Unlike some of the other digital pianos offered by Yamaha, the YDP 163B does not have MIDI connectivity. This may not be a problem for most people. Yet the lack of MIDI connectivity means that you might struggle to use the Yamaha YDP 163B to compose. At 136.6 lbs., the Yamaha YDP 163B is not a portable piano. Like the traditional acoustic piano varieties, you will need to keep this instrument in a single location in your home. The Yamaha YDP 163B is a great digital piano for anyone. It is easy to play, which makes it great for beginners. But it has the functionality that more advanced players need. Therefore, you can keep the same digital piano as your piano playing progresses. It doesn’t get much better than that. Therefore, we highly recommend that you check out the Yamaha YDP 163B Digital Piano today.